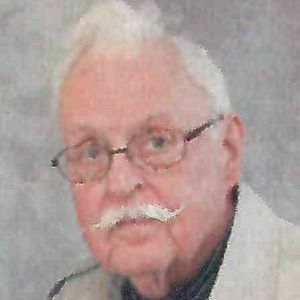 James Church, III, age 88 of Strongsville; beloved husband of Peggy (nee Filker) of 52 years; loving father of Beth Levigne (Mark), Jim IV (Kathy) and Tim; grandfather of 5 loving grandchildren. He went home to be with the Lord on Monday, February 25, 2019. Jim worked at WERE and WUAB/43 his entire career. He enjoyed sharing the gospel through magic and balloon art. He was known as "The Amazing Ballonologist" and was an active member of the International Brotherhood of Magicians and The Fellowship of Christian Magicians. In lieu of flowers, donations may be forwarded to The City Mission, 5310 Carnegie Avenue, Cleveland, OH 44103 or to Cedarbrook Camp of Ohio at www.cedarbrookcampoh.com. Friends and family may call at the BUSCH FUNERAL HOME, 7501 RIDGE ROAD, PARMA, on Thursday, February 28, 2019 from 5-8pm. Funeral service at Parma Heights Baptist Church, 8971 West Ridgewood Drive, Parma Heights, on Friday, March 1 at 11am with a visitation one hour prior at the church. Interment at Brooklyn Heights Cemetery, Cleveland. Add your thoughts, prayers or a condolence to James 's guestbook.